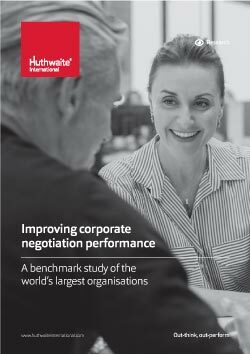 A benchmark study of how the world’s largest organisations negotiate. How companies reengineered their negotiation capabilities and improved profitability. The ten critical areas companies said most influenced their negotiation performance. How companies successfully transformed their negotiation from an individual competency into an organisation wide capability. Lessons learned from companies best and worst negotiation practices – what to focus on and what to avoid. Essential reading for: Sales leaders, Heads of Procurement and Supply Chain, L&D professionals and anyone responsible for corporate negotiation performance and skills development.